Home Lifestyle What Happens when you Go Through Rehab? What Happens when you Go Through Rehab? There are many treatment centers for those who suffer from drug and alcohol addiction and each operates using a unique philosophy. However, there are some basic recovery stages through which you must proceed regardless of the facility you attend or the treatment regimen you choose. Evidence has shown that in order to provide the most effective treatment, it is necessary to understand the physical and mental struggles of each client. So, when you enter rehab, you will receive an initial evaluation to assess your overall state of physical health and your current mental status. As a result of this assessment, you will experience a standard package of services but you will also go through personalized services based on what the assessment shows that you need. Before you can be treated properly, your body and mind need to return to a baseline. That means that the addictive substance must be totally removed from your body. Unfortunately, since the body becomes accustomed to and dependent on these substances, there will be physical withdrawal symptoms such as nausea, chills, and fever as you go through the detox process. These symptoms can be alleviated with medications but then the body needs to be weaned from the medications so the detox process takes longer. Once the detox is completed, you need to rebuild. This begins with eating correctly and establishing a regimen of daily physical activity. Treatment center staff work with you to design a plan that meets your individual needs. Depending on the amenities of the center you attend you can participate in acupuncture, yoga, swimming, meditation, and massage therapy. Every rehab process not only focuses on physical well-being but also treats the mind. Your mental state has its own recovery stages and needs to be repaired and strengthened. This emotional recovery begins in therapy. There are group sessions but you will probably attend individual therapy as well. According to Dr. Pam Peeke, you need to develop what she calls a Recovery-Centric lifestyle. You can achieve peak mental and spiritual recovery by resetting your goals and reorganizing your environment. You need to remove all that is harmful and begin behaving more responsibly. Your therapy sessions will provide support as you work to make these lifestyle changes. A part of the recovery stages that you may not even consider is leaving the treatment center to return home. This is not the end of your rehab but a continuation and you need a specific plan to make this transition successfully. The plan should include ways to handle the temptation to return to addiction, how to manage daily stress, and where to find support when you need it. 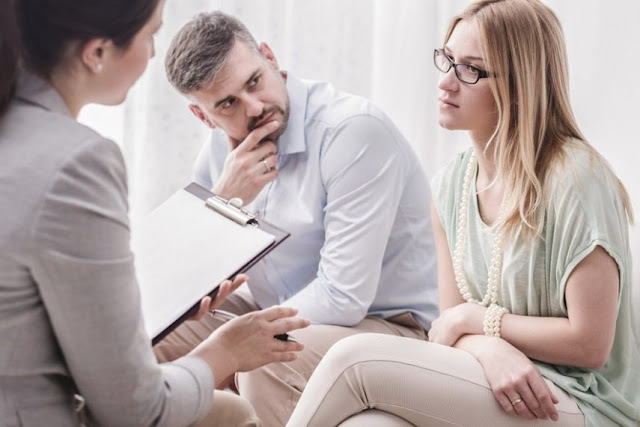 You are not expected to go it alone so you will be provided with follow up services like ongoing family counseling, medical services for addiction related diseases, and vocational counseling. You need to continue to work hard because rehab is a difficult and lifelong process.